Five Star Home Inspector, Chris Brown the owner has over 35 years of construction experience, he is North Carolina and South Carolina Certified Home Inspector, Certified National Building Inspector, Certified Mold / Mildew / Air Quality, Member NC Licensed Inspectors Assoc., NC General Contractor / Homes Builder of the Year, 12 Time Customer Satisfaction Award Winner. Five Star Home Inspection has a fully qualified and professional staff to handle your Charlotte Home Inspection. If you want the best home inspector in charlotte look no further than Five Star Home Inspection. 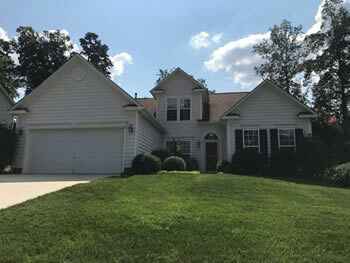 Five Star Home Inspection serves the Charlotte, NC area. Our expert home inspection team provide full service home inspection for your Charlotte home. We primary inspect for Lot Conditions and Grounds, Foundations and Porches, Basement / Crawl Spaces, Structure / Roofing, Attics, Garages, Carports, Exterior Surfaces and Components, Windows and Doors, Driveways and Sidewalks, Air Conditioning System, Heating System, Plumbing System, Electrical System, Fireplaces And Chimneys All Living Spaces and Common Areas. If you are preparing to sell your home or buy a charlotte home contact us today at 877-766-3148 for a full home inspection. Click here to schedule your charlotte home inspection today!